Thanks to fun roles in Joss Whedon's The Avengers and Joe and Anthony Russo's Captain America: The Winter Soldier (and to a lesser extent Jon Favreau's Iron Man 2), Black Widow has been firmly and successfully centered as the female lead of the larger Marvel Cinematic Universe. But what you may not know is that there was actually a Black Widow movie in development long before Scarlett Johansson tried on her first pair of stingers... and it was killed by one of the uglier box office bombs of the last decade. Comic Book Resources has a full breakdown Black Widow's long flirtation with live action - which actually dates back to an attempted Daredevil/Black Widow television show back in the 1970s - but the more interesting details are about the Black Widow movie that nearly got made back in 2004. At the time, actor/screenwriter David Hayter was coming off the comic book movie success of both 2000's X-Men and 2003's X2 (both of which he had a hand in writing), and Lionsgate offered him an opportunity to write a Black Widow script and make it as his directorial debut (this was a time before the movie rights to the character went back to Marvel). What he created was a fairly faithful adaptation of the super spy's origin story from the comics, but unfortunately the project wound up being doomed by a whole bunch of other similar features that were coming out around the same time. 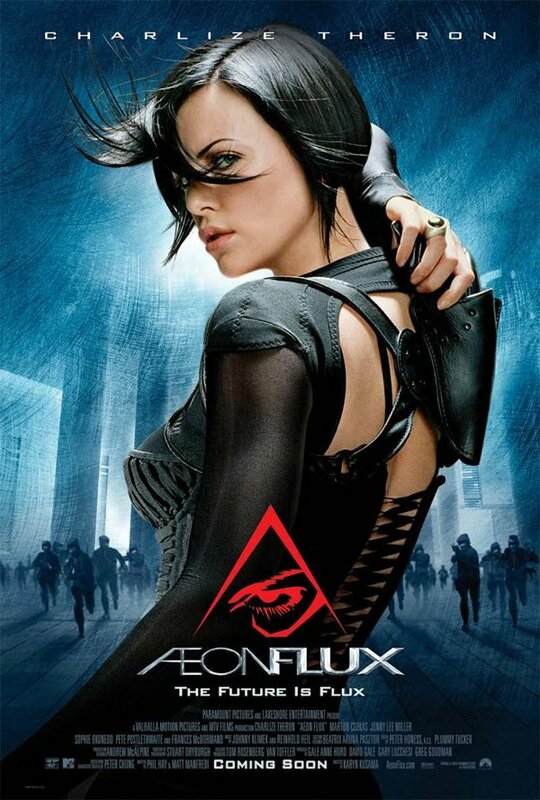 "Aeon Flux didn’t open well, and three days after it opened, the studio said, 'We don’t think it’s time to do this movie.' I accepted their logic in terms of the saturation of the marketplace, but it was pretty painful." It's impressive that less than a decade has passed since all of this went down, and yet the entire blockbuster environment is completely different. Now fans are actively asking for a Black Widow film, and while it doesn't seem to be in the cards just yet, Marvel certainly has no plans on putting the character back on the shelf any time soon. She will next be seen on the big screen in The Avengers: Age of Ultron, which will be in theaters May 1, 2015.